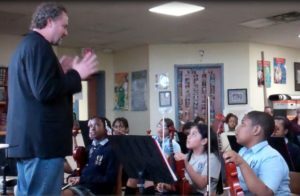 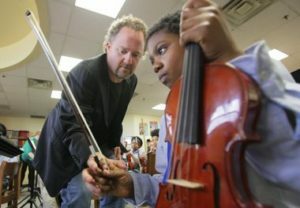 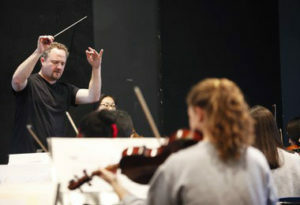 As part of his ongoing commitment to fostering musical talent among young people, Grogan’s work as Conductor and Artistic Director of the Interschool Orchestras of New York allows him to serve hundreds of budding musicians in the New York City area. 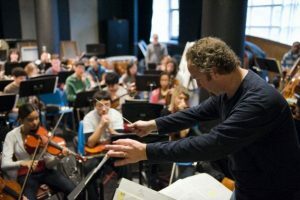 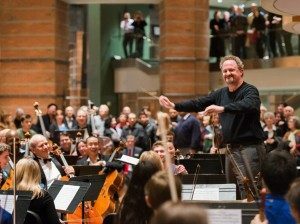 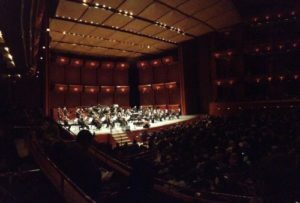 The core of ISO is its orchestra program, where young musicians rise to the challenge and exceed the high musical expectations held forth by their professional conductors while supported by their instrumental coaches. 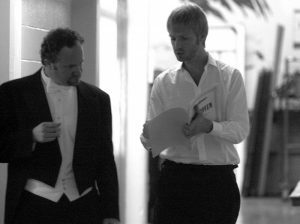 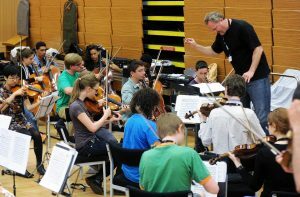 The program is enriched each year with coaching sessions by professional orchestral musicians and a concerto competition. 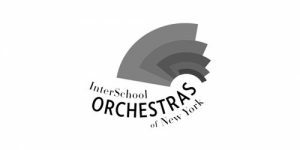 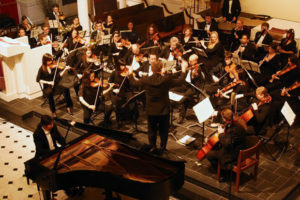 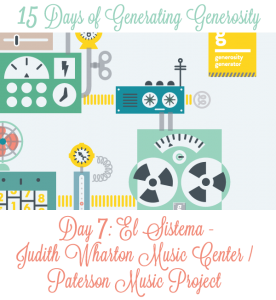 ISO ensembles perform as many as twenty concerts each year in major venues such as Carnegie Hall, Lincoln Center, community centers, nursing homes, and churches throughout the City, reaching an audience each year of nearly 8,000. 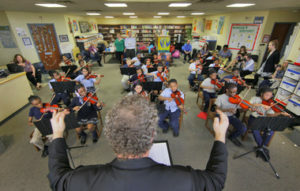 Free concerts in city schools performed by ISO ensembles introduce more than 1,000 students each year in traditionally under-served communities to the excitement of ensemble music.